A little 42 day old baby was suffering a condition where his heart was pumping too much blood into his lungs. The team called him Baby Su. 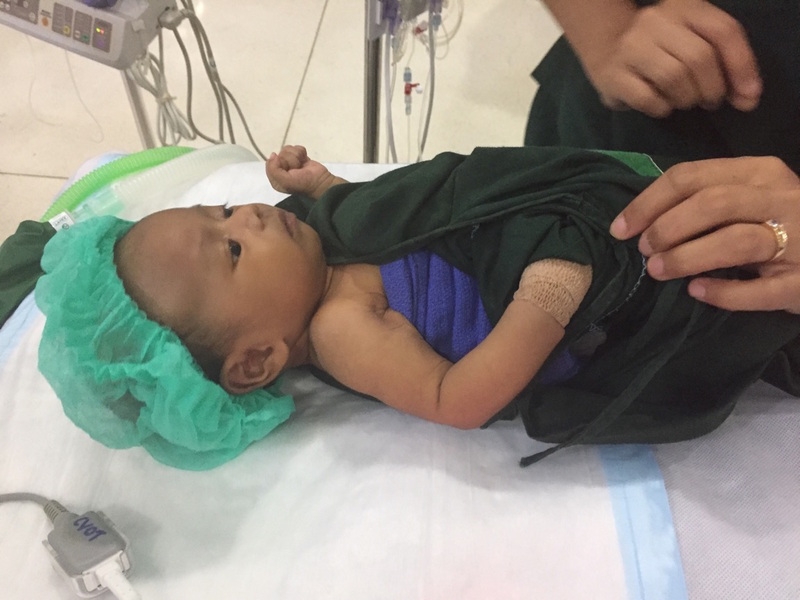 Because of the intricate nature of the surgery involved, the Burmese team did not have the experience to give the baby his operation. Well this week, time was on his side. 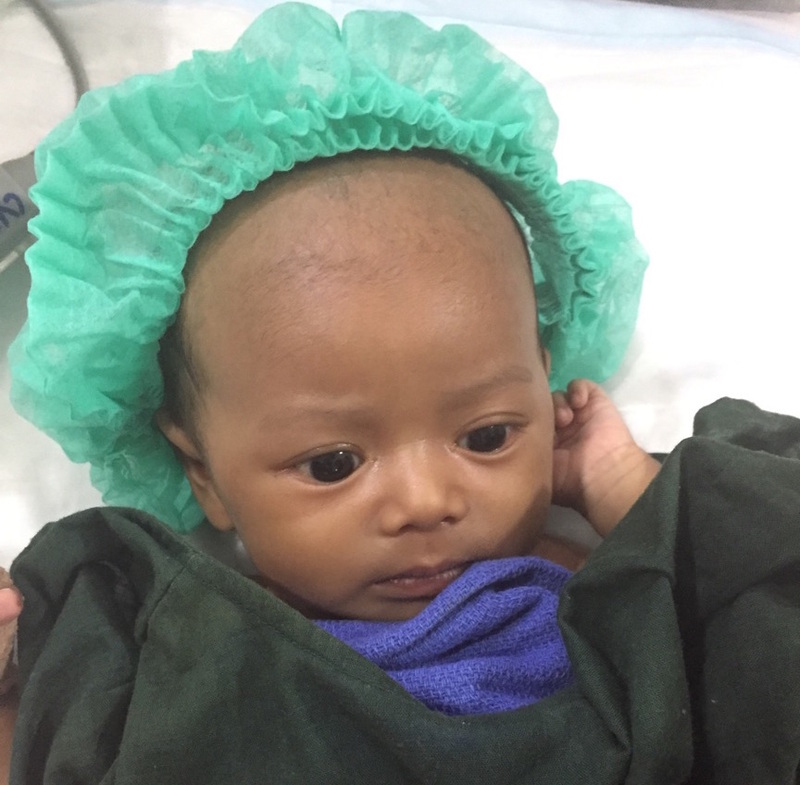 Our surgeon Yishay and the rest of the team were in town and realising Baby Su would die without their help, they got to work. Suddenly, mid-surgery, the power goes out. A ray of light appears. 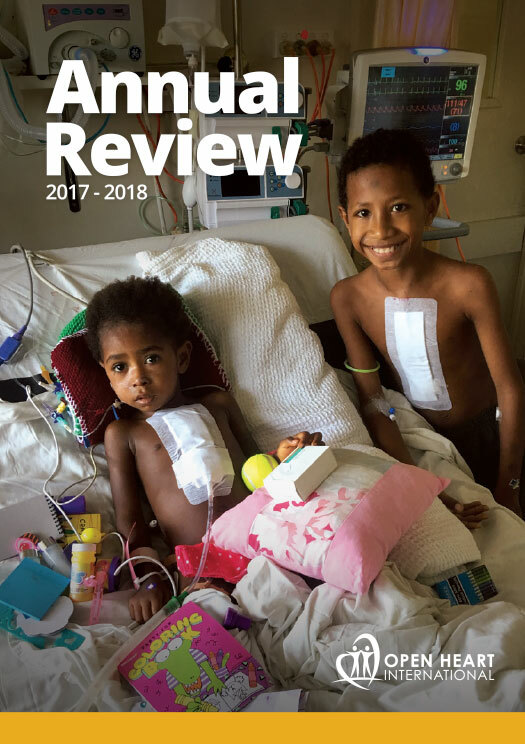 Yishay hasn’t lost a beat, she just continues operating on Baby Su’s heart, which is as tiny as a plump marshmallow, by the light of a single torch! The entire hospital has lost all electricity, it is a complete blackout for over 6min before they can get the backup generators going. The team remains calm, riding out the challenge and because of this, baby Su lives today. The operation is a complete success. You know it was only the day before that Yishay and another surgeon had told me how, though they go on these trips to train the locals, they always find themselves learning something too.